A FREEPORT couple are in high praise of police who managed to arrest six bandits who robbed them in two separate incidents one day apart. The couple, who will not be identified as they fear for their safety, were first robbed at gunpoint on Wednesday. In an interview with the Sunday Newsday, the woman related the first terrifying robbery. She said the gunman was wearing a mask and ordered her to hand over her money. The gunman spotted her son’s laptop and took it. He then asked her for the laptop charger. The second bandit was armed with a cutlass. The gunman then demanded jewellery and when the woman said she only had the gold ring she was wearing, he took it off her finger. Next, he demanded a glass of cold water and a drink of rum. She said the gunman then stood over her husband and told him he wanted his salary. The men left a short while later, warning the couple to wait 20 minutes before trying to get up from the floor. They took the woman’s gold ring, cash, a DVD player, a laptop and charger, a phone and a bull finch. The woman said she managed to wriggle her hands free from the belt that had been used to bind them. Minutes later, she saw a neighbour’s son walking past her home and alerted him. Freeport police were able to quickly track and capture the men as the getaway vehicle belonged to one of the couple’s neighbours. Police recovered all the items except the DVD player and the bull finch and arrested the three men involved. But the woman’s worries were not over. The next day, when she and her husband went to the Freeport police station to give official statements, someone broke into their house. This time the thieves stole a 43-inch smart TV, a gas tank, a spray can, the woman’s pressure testing machine, an extension cord and groceries. But what hurt the woman even more is that another of her neighbour’s’s was responsible. 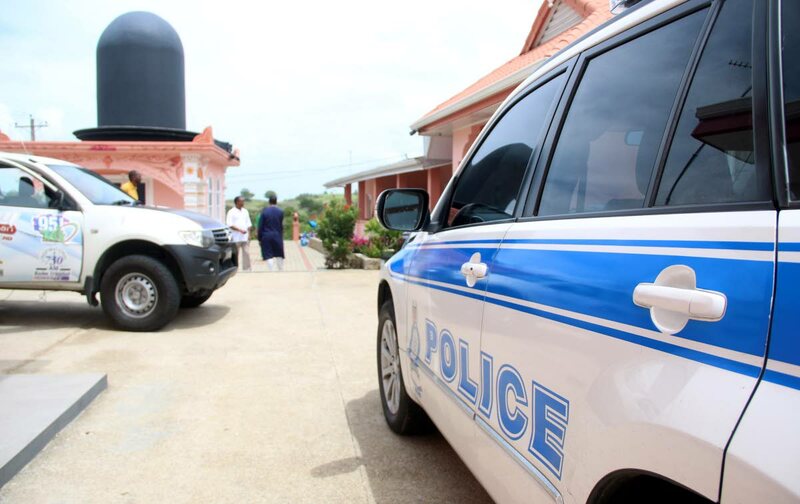 Police were able to recover all of the stolen items from the second robbery and all six men will appear before a Chaguanas magistrate tomorrow. Reply to "Bandits strike twice"